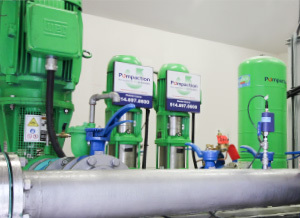 Pumping raw water to filtration plants, the distribution of potable water, chemical dosing or pumping sewage and sludge: Pumpaction meets your needs with its high-quality pumps and complete, high-performance, turnkey systems. Plus, our technical team can carry out a detailed needs analysis and propose the best solution for reducing maintenance and energy costs. 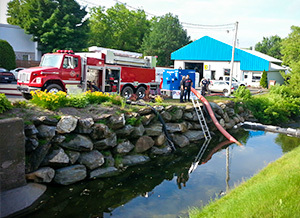 Pumpaction also leases pumping equipment for by-pass and infrastructure work. We deliver a complete design service for energy-efficient, innovative systems. We can draw up plans and prepare budgets, and our team of trainers who specialize in hydraulics, automation and monitoring can provide logistical support. Our team of project managers delivers a complete bid development service for your projects, which includes preparing and assembling the documents required for the consultant’s approval. You can rely on technical support from our team of specialists when installing and starting up equipment, as well as our after-sales service centre. 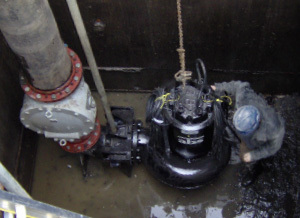 For the detailed needs analysis, you can call on our team of seasoned representatives, who will recommend the best pumping system for you, whether for purchase or lease. Professional after-sales support service ensures your products continue to deliver top performance.